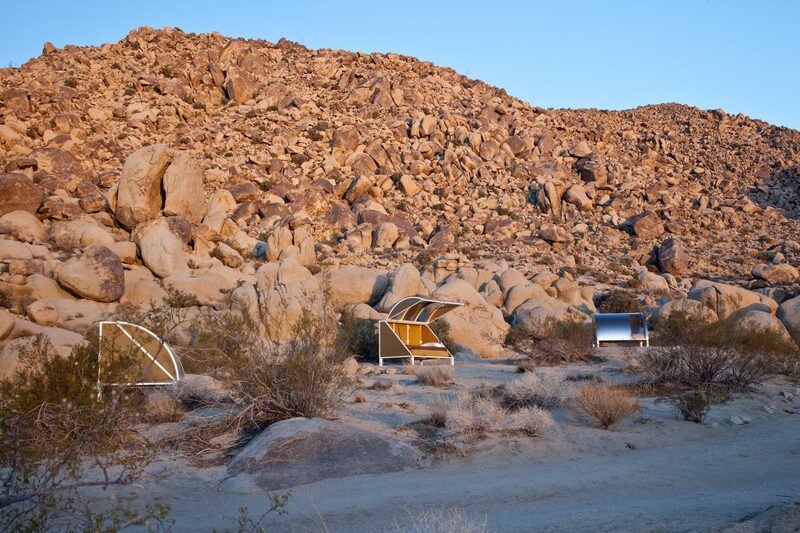 Artists and writers wanting to play out a “desert fantasy” can rent a tiny sleeping pod at a remote campsite in southern California, which looks like a scene from a sci-fi film. 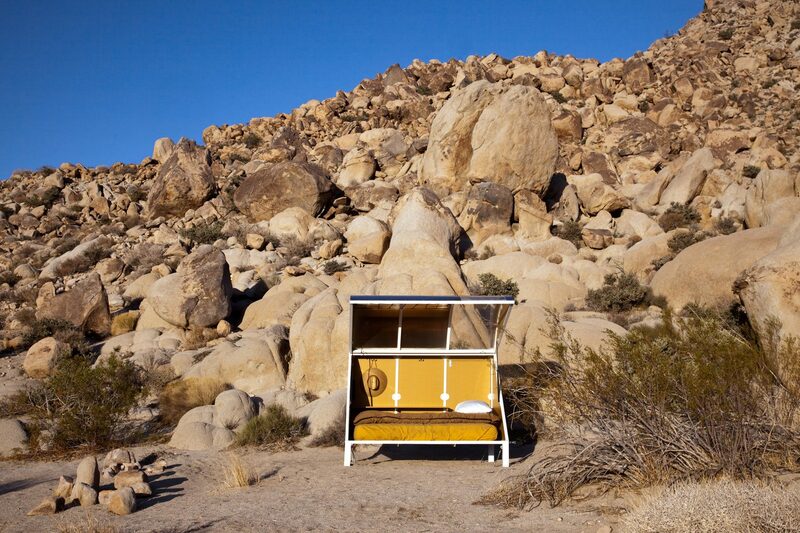 Called the Wagon Station Encampment, the experimental project was conceived by US artist Andrea Zittel, who is known for her explorations into self-sufficient and sustainable living systems. The site consists of 10 sleeping pods, called wagon stations, as well as a communal outdoor kitchen, open-air showers and composting toilets. 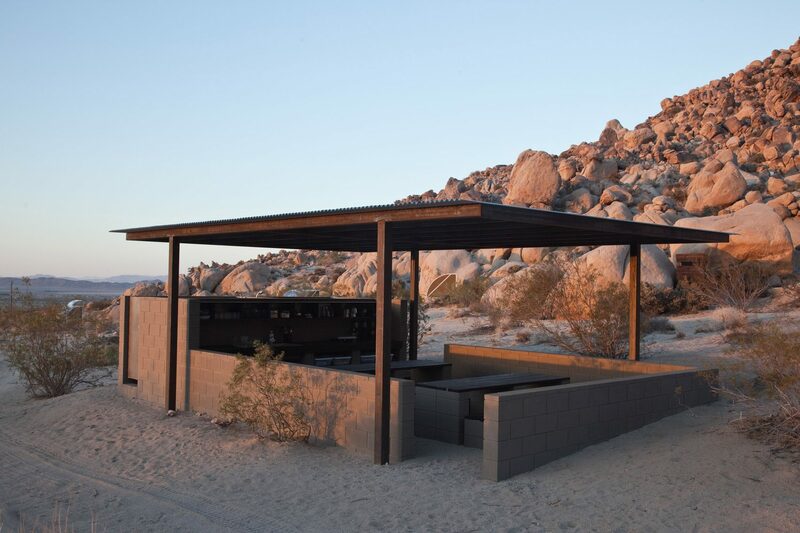 “It’s sort of a cross between a retreat and a residency and a normal campground,” said Zittel in a video by Art21. 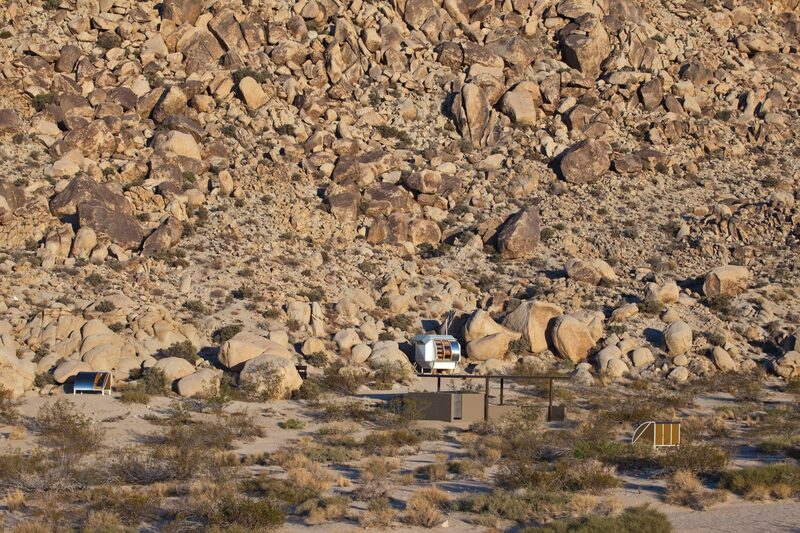 The encampment – described as having a sci-fi aesthetic – is located on a 35-acre (14-hectare) site near Joshua Tree National Park, which is dotted with unusual rock formations rising up from a vast expanse of desert. 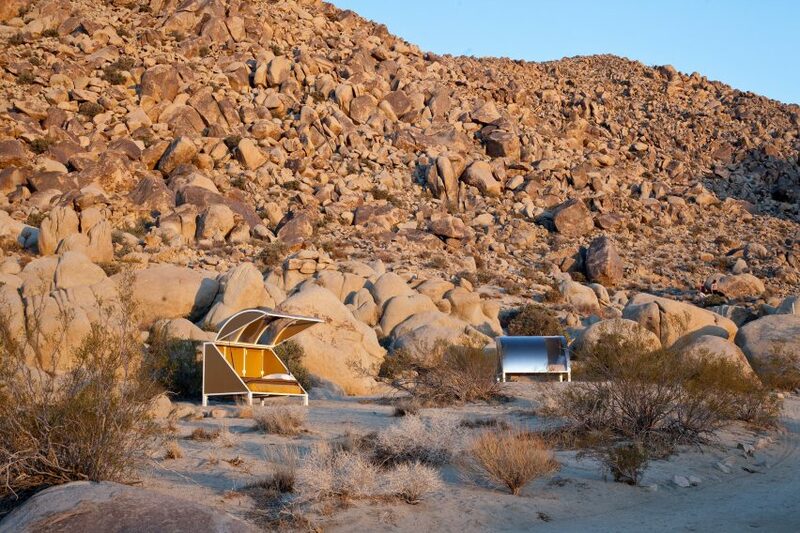 The metal-and-wood shelters are meant to evoke the classic family station wagons often found in suburbia, along with the covered, horse-drawn wagons that were common in old Wild West. While the pods do not have wheels, they can be easily collapsed, moved and reassembled. Guests enter their pod by unlocking and lifting up the front panel, which can be propped up and left open. The panel has a transparent strip that enables occupants to view the surrounding landscape and sky while lying on their bed. Inside, the enclosure contains a mattress, clothing hooks and a small door for ventilation. Artists can bring their own decor, such as rugs and paintings, to personalise the pod. 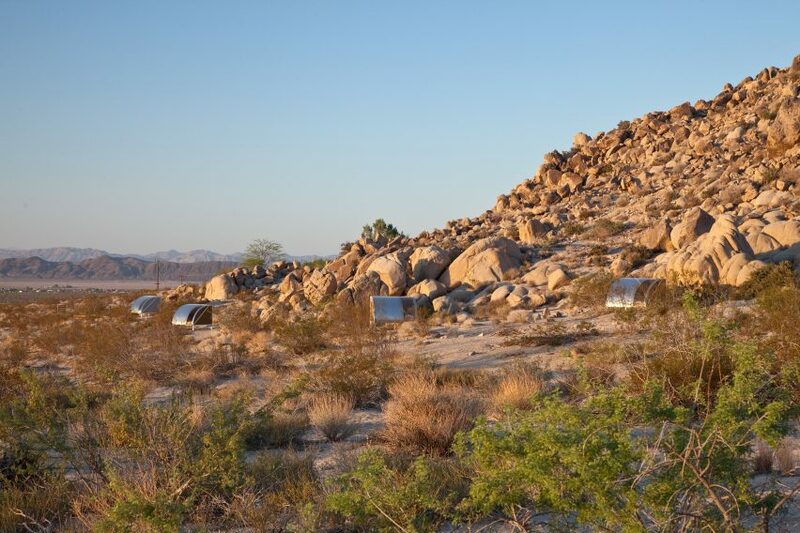 The campsite is “open to anyone who feels an affinity with Andrea’s mission in the high desert, including (but not limited to) other artists, writers, thinkers, hikers, campers or those who are engaged in other forms of cultural or personal research,” according to the artist’s website. The site is open two seasons each year – one month in the fall, and one in the spring. Guests can reserve a pod for one- to two-week periods, and are expected to contribute to the functioning of the camp. The cost is $120 per week (£92), plus a $20 (£15) application fee. Applicants are required to submit a short biography for consideration. The current shelters are second-generation wagon stations. 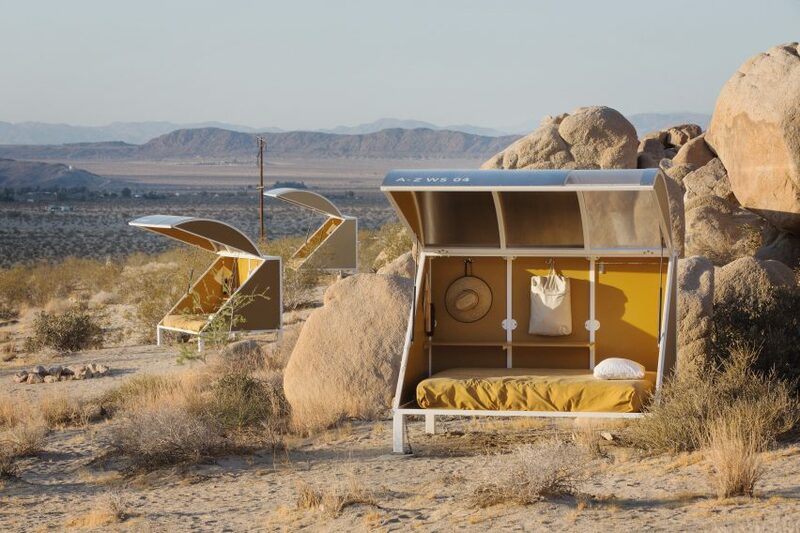 In the early 2000s, Zittel and her artist friends created a series of similar pods, which were eventually dismantled due to wear and tear. The campsite is part of a larger property known as A-Z West, which was established in 2000. It contains Zittel’s primary residence, a studio and shop facility and a collection of shipping containers converted into apartments. Tours of the site are also available for visitors on a regular basis, with the possibility to increase the amount of visits to accommodate extra interest. Other camp shelters include the recently unveiled Autonomous Tent, which is a sculptural enclosure with a wooden porch, and portable micro cabins designed by Harvard students for stressed-out city dwellers. Photography is by Lance Brewer. Shake Shinode is a global, multi-platform media and entertainment company. Powered by its own proprietary technology, Shake Shinode is the go-to source for tech, digital culture and entertainment content for its dedicated and influential audience around the globe.